The Obstetrics/Gynecology Clinic at UT Southwestern Medical Center at Las Colinas is a full-service practice, treating the full range of obstetric and gynecologic conditions. For more than 50 years, UT Southwestern’s Obstetrics and Gynecology program has been recognized for its contributions to women’s health care and its commitment to the compassionate delivery of quality health care to all patients. Our physicians approach women’s health as a partnership, embracing the unique needs of each patient. 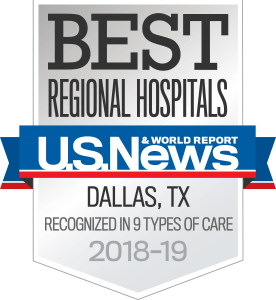 No matter a patient's age or stage in life, the obstetricians and gynecologists of UT Southwestern Medical Center at Las Colinas are dedicated to their health, providing patients with individualized care and the latest treatment options – all in a welcoming environment. When needed, our physicians can make referrals to UT Southwestern specialists in Fertility and Reproductive Medicine, Harold C. Simmons Cancer Center (breast cancer and gynecologic cancer), Female Pelvic Medicine and Reconstructive Surgery, and other specialties.